Government leaders in the U.S. and around the world are gearing up and taking stronger actions to address climate change and achieve the greenhouse gas (GHG) emissions reductions commitments set out in the UN Paris climate accord. State leaders in California and Massachusetts announced ambitious new climate change and related renewable energy legislation this month; New England state governors and premiers of Canadian Atlantic maritime provinces agreed to take actions to achieve ambitious GHG emissions reduction targets this week; and President Barack Obama is en route to China for the G20 2016 Summit meeting in China, where climate change is expected to be at the top of his agenda. President Obama has been zeroing in on climate change en route to China and setting up the institutional framework that will enable the U.S. to achieve the GHG emissions cuts pledged as part of the UN climate treaty. The G20 2016 Summit will take place in the historic coastal city of Hangzhou in southern Zhejiang province Sept. 4-5. Climate change is expected to be high up on his agenda as the president meets with Chinese President Xi Jinping and other G20 leaders. A senior adviser said Obama is likely to announce major new climate change initiatives aimed at meeting the U.S. GHG emissions reductions targets set out in the new UN climate treaty during the summit. There has been a flurry of related actions regarding climate change and renewable energy on the part of U.S. state governors and legislators this week. 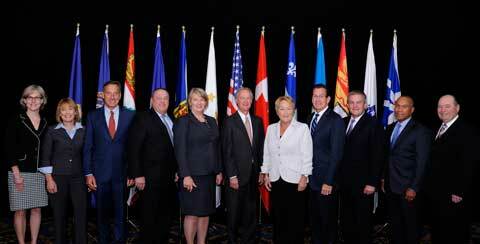 Climate change and energy were the main topics discussed by New England state governors and Eastern Canadian premiers at an annual meeting held in Boston. Prince Edward Island Premier Wade MacLauchlan said the group expects to have a strategy to meet joint GHG reduction targets ready by next year. The governors and premiers agreed to reduce GHG emissions by 35-45 percent of 1990 levels by 2030 and 85 percent or more at their initial meeting last year. Massachusetts Gov. Charlie Baker raised the bar on the state’s use of renewable energy substantially on Aug. 8 when he signed a bill that requires the state to acquire 1,600 megawatts (MW) of offshore wind power and 1,200 MWs of hydropower or other renewable resources. Baker explained that the goal is to start soliciting long-term, 15-20-year bids for offshore wind power contracts in 2017. Massachusetts’ new renewable energy legislation is historic in that it is the first time any U.S. state has enacted an offshore wind power mandate. That puts Massachusetts at the forefront of efforts to make use of the U.S.’ substantial offshore wind energy resources and develop a new renewable energy industry sector. Hydropower also figured prominently in the U.S.-Canadian climate and energy conference. “We are currently in the process of working with our colleagues from Connecticut and Rhode Island on a three state procurement of hydro and wind from Canada, upstate New York, and Maine which I think has the potential to help us to reduce our carbon footprint,” Baker was quoted in a news report. 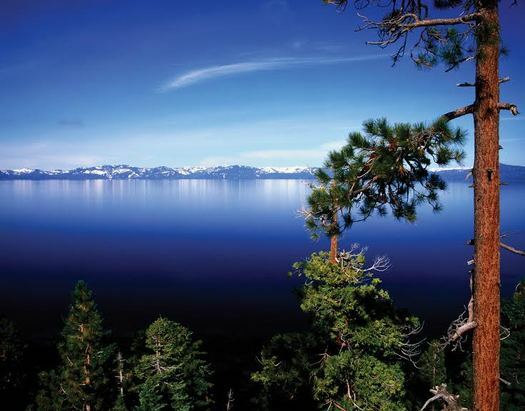 Out west, California renewed its climate change and clean energy commitments last week by enacting Senate Bill 32 (SB 32) and the companion Assembly bill (AB 197). 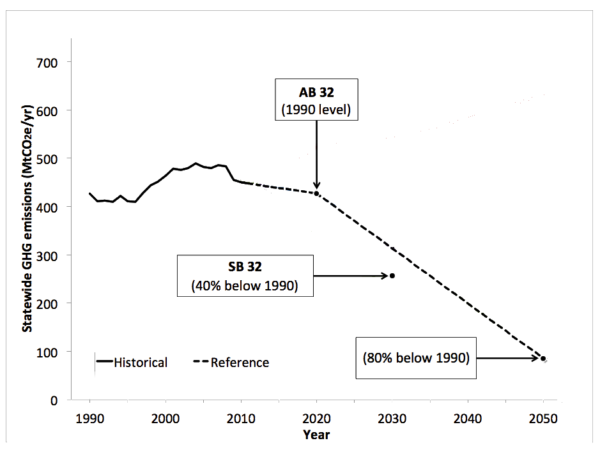 California is on track to reduce GHG emissions to 1990 levels as set out in 2006’s AB 32. SB 32 raises the state target by requiring an additional 40 percent cut in emissions by 2030. “The stakes are enormous: Policymakers everywhere will be watching to see if California can pull this off,” Vox.com’s Brad Plummer wrote in a news report.